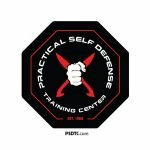 Training at the Practical Self Defense Training Center is an investment in improving yourself, a facet of life sadly neglected by many in our society. Whether through our regular class program, private training or workshops, you will learn the most practical, efficient, and highly refined self-defense methods. You will be able you to defend yourself and your loved ones in all types of situations, which is essential in today’s world. Classes at the PSDTC are structured to provide personal attention and instruction and to guide students throughout the program. The arts we teach can be learned by anyone, unlike other sports or exercise programs that are easy only if you are a natural athlete. People of any age—from 5 to 77 and up —female or male, athletic or not, can and will benefit from the physical fitness and overall feeling of wellbeing and confidence that training in these martial arts gives you. Even after you have been training for only a short time, you will see your awareness increase tremendously, and your self-confidence will grow as you reach for your fullest potential. As you progress, you will gain the self-discipline needed to improve not only your martial arts ability, but other elements of your life, along with a noticeable improvement in health and wellbeing. No other exercise program in the world is as beneficial! 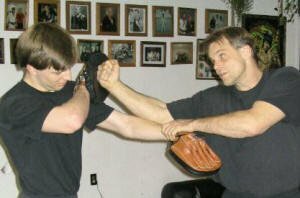 Martial arts training is not only for self-defense, but also for self-understanding. You will expand your outlook on life, as you learn about physics, philosophy, history, culture, tradition and—perhaps most importantly—the psychological understanding and awareness of human behavior in self-defense. These benefits will be with you the rest of your life. Our students come to us for different reasons: some are fighters or professional martial artists, some are law enforcement or military personnel, many more are everyday people from students to housewives to retirees to laborers to professionals and trades specialists. We all train together and learn together, and nobody is made to feel inferior for lack of prior experience or expertise. We understand that unless you are part of our military or law enforcement training programs, or plan on competing as a no holds barred fighter, you are training for everyday situations, not a battlefield or octagon. You must get up the next day and go to work or take care of the family. Your progress will be encouraged at the pace that you, individually, can handle. How far you want to go, how intense you want your training to be, is up to you. To inquire about enrollment, please contact us.